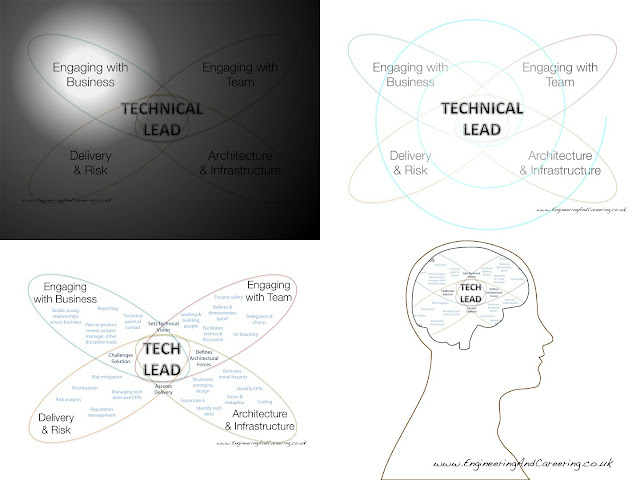 A mixture of exposure, experience and reflection feeds the growth of a Well-Rounded Technical Lead. A strong, progressively developing definition of the role can be used to widen your skills and strengths. 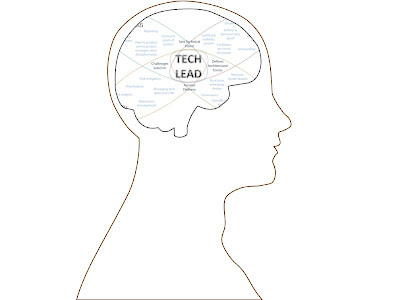 Lots of people become Tech Leads – why make a fuss about it? Being the Technical Leader of a project is something quite unlike being a fantastic and opinionated Developer. On becoming a Technical Lead – no matter what top-ace skills a Developer has – they are likely to become unstuck. They will find that they have skill or practice gaps, and the very things that got them to be seen as an ace developer may be holding them back from being an top-ace Technical Lead. Over the past few years I've worked with a more than a few people as they were growing to become great Technical Leads. Some of them I worked with on a daily basis, others allowed me to spend a little time with them. We talked through each other’s ideas, challenged each other and our plans. I started keeping notes from my conversations and the pictures we drew up together. These conversations lead to my view of a Well Rounded Technical Lead. From this, I've gathered some perspectives of how to progress and widen knowledge towards well-roundedness. 'Do' to gain understanding. Observe, question and listen to get context. You will see that having a strong vision of ‘good’ helps - being well-rounded in depth is important, following my model isn't. If you’re a developer interested in leading a team, I'd recommend exploring the role before you leap in. Consider gaining some experience and context first, as it will help later, when you get the opportunity to lead. Whilst you continue to be a developer, take a little time to investigate what it means to think like a Technical Lead by sampling some of the behaviours and challenges in smaller chunks. Consider your next experience to be like a torch beam focused on a part of the model, choose a wing to focus on, and then go looking for experiences that match. Make sure you look at the skills you’ve been focusing on so far and try different areas. Ask for support and for feedback on your performance, as well as giving yourself time for reflection. As well as looking for different kinds of challenges and experiences to stretch you, it's worth looking at what the people you consider leaders are doing and how they address their challenges and issues. If they have the time, see if they can help you build understanding. As you start leading, it’s a good time to build up a strong view of what you need to be doing, and start to explore what the role means as a functional whole. Rather than biting off work that focuses on one area, it's now worth finding roles that cover the breadth of experience you want to develop. Don’t overload yourself, give yourself the room you need to reflect and get the support you need to explore it safely. From that point you can keep growing out, extending your reach. There is value in exploring some of the detail - to build a strong idea of the role - without feeling you need to know or do everything yet. It can help keep you focused on what’s important, and keep track of what skills you need to practice. I’ve found that building an ‘Is / Is not / Undecided’ one-pager from your experiences so far can be a great help in discovering what’s important. It can highlight where you currently are focusing on and what you could be looking at next. Judging how well-rounded these elements are making you, you can spot gaps in your definition. If you can find a mentor, describing your definition can give insight and generate great conversations. There’s a lot to learn from looking at different points of view, and then digging into the reasons behind those differences. It can lead to actions that explore the different point of view of the role or a driver to gain some different skills. 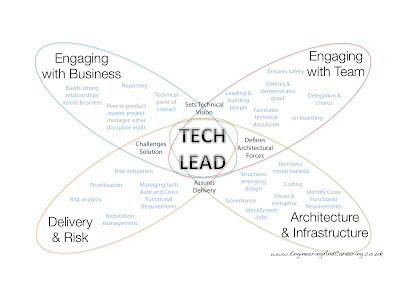 Can you see others, perhaps other tech leads who work in different angles or areas? Talk to them about the how and the why. How does that effect your actions and your model? As you get a more solid view through your experiences and reflection, it will be time to stretch yourself and to gain more and more demanding experiences. A great Technical Lead, who is looked to get things done well, can still have gaps in their experience and practices. When hitting a barrier or looking for directions to grow, it's worth looking to what will fill the gaps and give you well-roundedness in depth. Helping you grow to deal with whatever comes up next in an effective way. 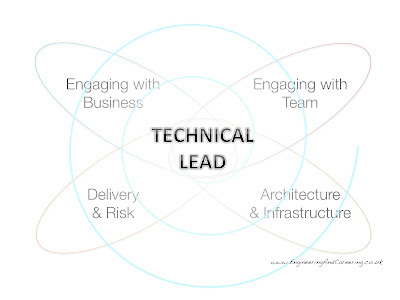 Keeping in mind your understanding of the parts and of the whole, I’d recommend that this is a good time to focus on the detail that makes a Technical Lead an expert practitioner. It’s worth reading and looking around you at practices that make other Leads great at what they do. Get into the nitty-gritty of the job, but come back to the whole to see how it fits together. If you compare what you do to how other leaders play the role, what’s different, and why? Looking at the problems you are solving; what’s needed? This can highlight gaps in your practice & performance of the role and lead to a discussion of what changes will help solve the current problems, or drive future growth to meet your goal. 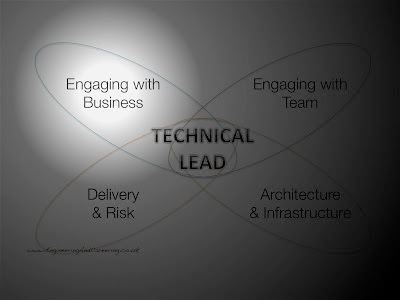 Take the detailed view of the Well-Rounded Technical Lead above. You may not agree with all of the practices, but I’d hope it drives strong opinions on each quadrant and an appreciation of the problems the practises aim to solve. There's value in using my model as a straw man to be scribbled on, challenged and improved. It's worth starting to consider being well-rounded in your theory and definitions also. Consider developing a Leadership Philosophy to guide your interactions and direction. As an experienced Well-Rounded Technical Lead, it's useful to keep the strong vision that got you here in mind. Then you can step back and verify that you have everything under control or adapt to the situation, even with all the plates spinning. Though almost all of my choices are made without direct reference to the model, it's good to reflect in complex or new circumstances. When I have a big challenge in front of me I use it as a safety net. Reflection helps me to be sure I’ve got all the important areas covered and to drive out priorities in what I need to do. Especially when I’m working in a new situation or under pressure. When mentoring and sharing Technical Lead responsibilities on a project, I look to the model to kick off discussions. I want to see how we might find the right parts of the role to share: where and when to give cover and where and when to handover. I’m still reflecting and learning. Each year when I’ve sat down to review my definition; I’ve made changes to it. Sometimes the refinements come from conversations, sometimes from project lessons. It’s not the only thing I use to centre myself and to guide my choices. As well as my Leadership Philosophy, I have a set of tools that I use - but that’s something I want to come back to in a little while.